During my recent visit to the Cosmopolital Hotel in Las Vegas, NV…I discovered quiet a few things that were BIG! 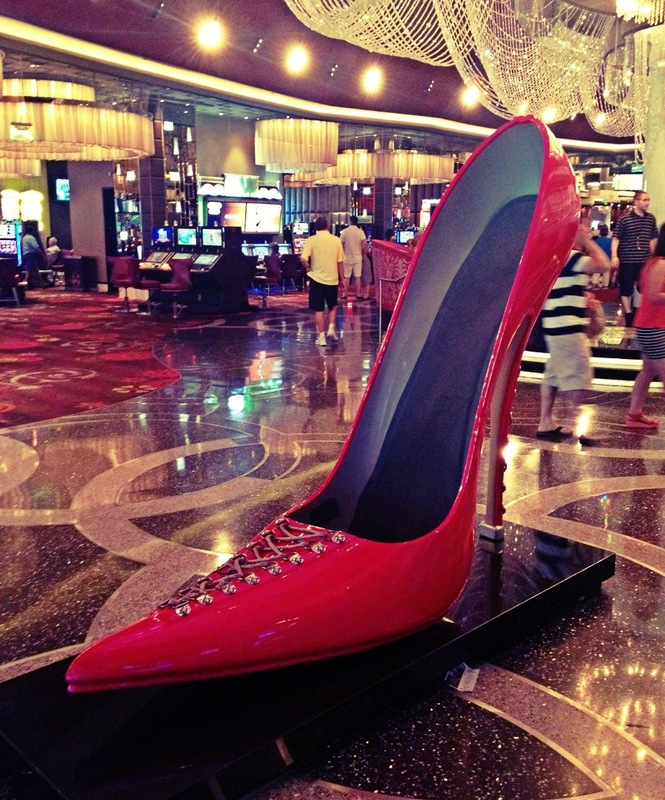 First was this Gorgeous Enormous Red Shoe…women LOVE shoes and this amazing beauty just drew me like moth to a flame!! Enormous shoe! But, where’s the other one? Is it possible that it belongs to Giant-Cinderella?!? 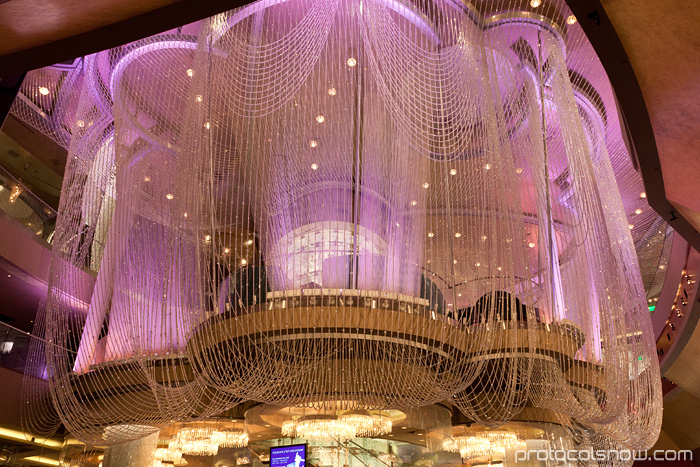 I have to say I’m in love with that chandelier! Can you tell me…what is the scale? Hard to tell how big it really is. Whoa!! That is a mighty giant shoe…lucky the owner was not present to collect it!!! Thanks for linking to my blog post. I like your photos. Good examples of big! Only in Vegas. They do have the most fascinating, larger than life stuff. Those red shoes are irresistible. A woman’s joy indeed.